If you’re in need of air compressor parts for your business in Smyrna, Tennessee, turn to A&W Compressor. Since 1982, we’ve been the region’s source for reliable and honest service for all things concerning compressed air. Whether you’re looking for a replacement part for an air compressor system or you need emergency repair services, the only name you need to know is A&W Compressor. Parts – We have a large inventory of parts from many different manufacturers, including leading brands like Atlas Copco. We can provide you with the air filter, hoses, fittings, pumps, lubricators, and other air compressor parts you need to keep your equipment running optimally. Equipment – We sell new and used air compressors as well as related equipment, such as air dryers, sandblasting equipment, and vacuum pumps. And for temporary or short-term needs, we also offer air compressor rental services, giving you the flexibility to choose the option that best suits your needs. Maintenance – To keep your equipment in peak condition, we offer preventative maintenance schedules that can help prevent the likelihood of an unexpected breakdown. We can also perform an air audit to examine your system for inefficiencies and provide cost-saving fixes. Repairs – In the event that you do run into a problem with your equipment, our factory-trained technicians are available 24/7/365 to respond to emergency situations. 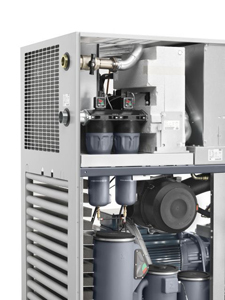 A&W Compressor is an all-in-one solution for your company’s air compressor needs. To order air compressor parts or request a service for your business in Smyrna, TN, contact A&W Compressor today.